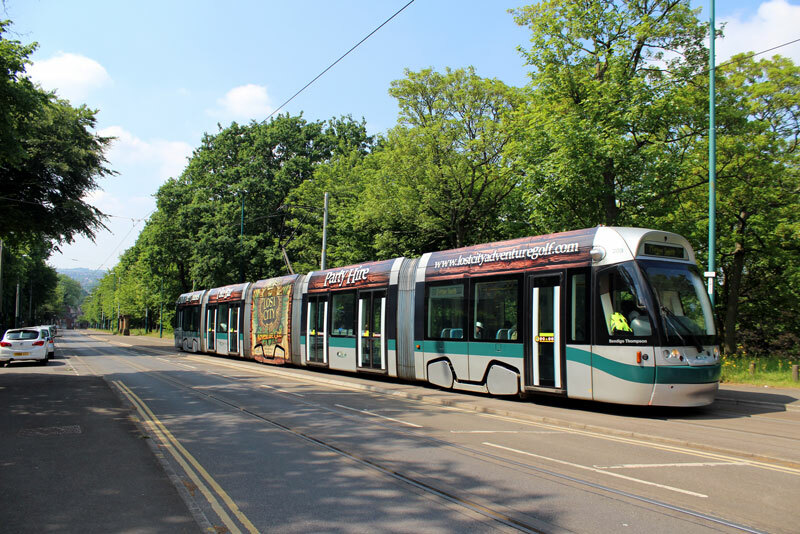 In this shot 203 shows to good effect the adverts carried on many of the Incentro trams which fall short of a full vinyl wrap. The advert in this case is for Lost City Adventure Golf. The tram is approaching High School for Clifton South.